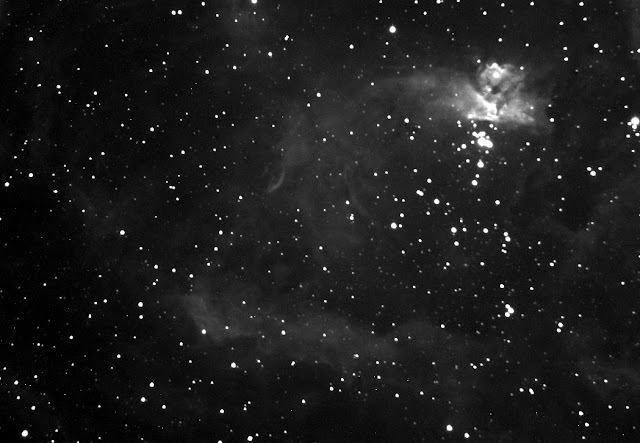 Kumeu Observatory Log: 6th-7th of May, Clouds and CCD Frost. 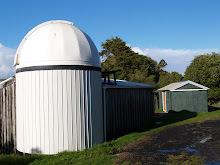 On the 6th of May I headed out to the observatory after sundown to be pleasantly surprised to find that the Wasp Observatory was open, Nicola Gujer was there using the University of Auckland's Department of Physics Meade 12' Inch LX200 Schmidt–Cassegrain to capture data for her project to study the astronomical "seeing" in Auckland, after setting up I went to focused on a few stars only to find I was getting some pretty bad results, after realising that I wasn't pointing the telescope high enough I managed to focus a star with a FWHM of 1.8 arc seconds per pixel, after finding an interesting target to image I noticed some strange features on the images, I think some of the early ones could have been ice starting to form and I was sure of it later on when the familiar arcs appeared, knowing that the only way to fix this was to "warm up" the camera, I did so and confirmed that the aberrations on the images were indeed caused by CCD frosting, the thing was I had to "warm up" the camera about three times before the problem went away entirely so i think we may have to cook the desiccant again. The Star that Nicola was monitoring went behind the trees so she packed up and headed home around 11 pm, after she left I started imaging part of the Lobster Nebula (NGC 6357), I captured around half an hours worth of data before the clouds started to arrive, I tried to wait them out but they were very consistent, it was very frustrating as I could tell the rest of Auckland was in the clear, the clouds were coming in from the west and not getting much further in before thinning out and dispersing, while I waited I got the vacuum cleaner out and gave the observatory a good clean up, after packing down I left the observatory around 2 am. 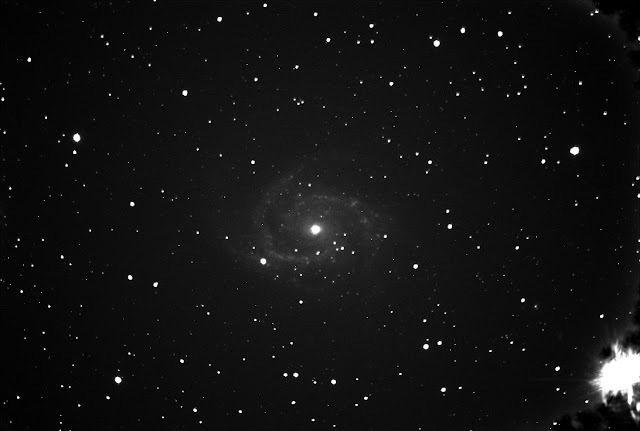 I also went out to the observatory on Sunday night (7th) but got clouded out before I could get much done, I looked at the cloud sensor downstairs and noticed I had made the right decision leaving the previous night as the sensor showed that the sky didn't clear until 6 am!